30th June 2017 | filed under Aesthetic Treatments. With the arrival of the holiday season, summer, many of you aim to look and feel your best. 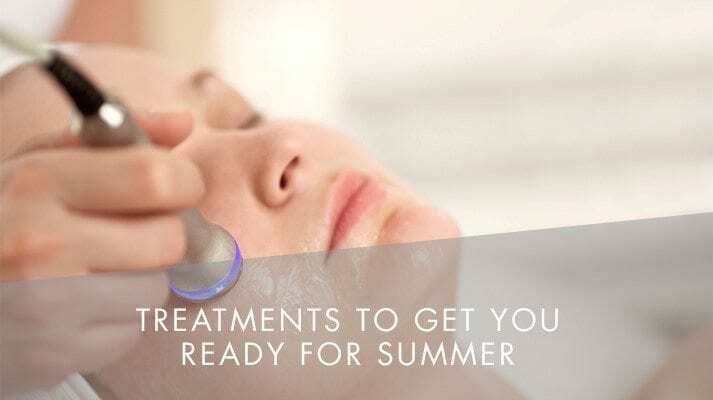 This could be due to an upcoming holiday, or event you’re attending, and here at Aesthetic Skin Clinic, we have numerous treatments to get you ready for summer! Whether you’re wanting clearer, smoother skin, or hair removal, we aim to give you a flawless look, making you feel amazing for the summer. Here are some treatments available to you. Acne is an inflammatory disease caused when the sebaceous gland, which is found in the hair follicle, produces too much oil, or sebum bacteria builds up, resulting in a break out of spots. This is often triggered by hormonal changes, and is the most common skin disease, with 95% of people suffering with the effects of acne at some time in their lives. Obagi Medical, this is the world’s number one prescription skincare system, developed by leading global skin care experts to transform skin health. Obagi skincare is the forefront of its field, modifying how the skin functions on a cellular level, which focuses on acne, scarring, and sun damage. Intracel Radiofrequency Microneedling is a treatment which delivers energy deep to the dermis via a specially designed, insulated microneedle that penetrates the skin. The dermis works to tighten and shorten collagen fibres, whilst encouraging collagen production, there-fore, working as an anti-aging protocol. Laser hair removal is a popular method of ridding unwanted hair, and managing excessive or abnormal hair growth. This pain-free treatment eliminates almost all hair types from the desired areas. Facial hair is a high concern due to the high visibility, which can create self-consciousness among some. Soprano Ice Laser Hair Removal is one of the most advanced laser hair removal systems on the market, which is popular due to the comfort of the treatment, and the effective results. The melanin pigment attracts and absorbs the energy from the device, with the build-up of heat damaging the structures of the hair, it falls out after 2-3 weeks of the session. Another option is the Intense Pulsed Light hair removal. This involves controlled flashes of light that are absorbed by the hair follicles that lie beneath the skin’s surface. Over time, hair growth in the treated area is stunted and significantly reduced. Our ND: Yag Laser treatment absorbs deeper levels of the dermis, allowing deeper lesions such as leg veins. This energy is delivered using long pulses which are then converted into heat in the tissue. This treatment can also treat at a more superficial level, by heating the skin, it stimulates the creation of new collagen which improves the appearance of facial wrinkles. There are many treatments we offer here at Aesthetic Skin Clinic that can help get you looking and feeling your best, ready for summer. If you would like more information on the treatments we offer, don’t hesitate to get in touch with a member of our team today! Can You Attain The Perfect Beach Body With Fat Freezing?